At Semper Fi, our team aims to restore faith in small, locally owned building companies and the people who run them. As a company focused on remodeling, we provide a tailor-made experience that a new home builder cannot. We pride ourselves on our reliability, integrity and trustworthiness through every step of your project. Through our commitment to excellent communication, Semper Fi Remodeling fosters strong relationships with the people we serve. In 2010, we built our first home with our childhood mentor and it was then that we discovered our innate passion for building homes. Building that home and bonding with the homeowner during the project was ultimately the reason why we founded our organization. We were both raised in a service-oriented family; Chris’ father was a plumber and Jay’s mom and grandmother owned an antique shop in Black Mountain. Growing up in such families taught us that the relationships we build with people are just as valuable as the services we provide. Due to the lessons our family and childhood mentor taught us, as well as our passion for building client-builder relationships, we have specialized our focus on remodeling homes. Remodeling spaces versus building houses allows us to utilize our passion for building, as well as our desire to work closely with our clients. Semper Fi is a Latin phrase meaning “Always Faithful”. This is the core belief we follow when managing our building processes and maintaining our relationship with you. We believe that excellence is achieved by remaining faithful to our word, our craftsmanship, and our client. Growing up in Buncombe County, Jay Cope lived through several remodels that his parents completed on their home throughout the years. As Jay grew up, he developed a love for the mountains. Despite this, Jay decided to attend North Carolina State University to attain a BS in Aerospace Engineering. After graduating, Jay went on active duty in the Marine Corps as an Aircraft Maintenance Officer and was stationed in Japan. After meeting his wife, Yuki, in Tokyo Japan and a successful tour in Japan, they were stationed in San Diego, California where Jay continued his efforts in the aircraft maintenance community and successfully completed a deployment to the Middle East. After finishing his time as an Aircraft Maintenance Officer in the Marine Corps it was natural for him to be drawn back to the Asheville community, so Jay and his family decided to settle down in the Black Mountain community. 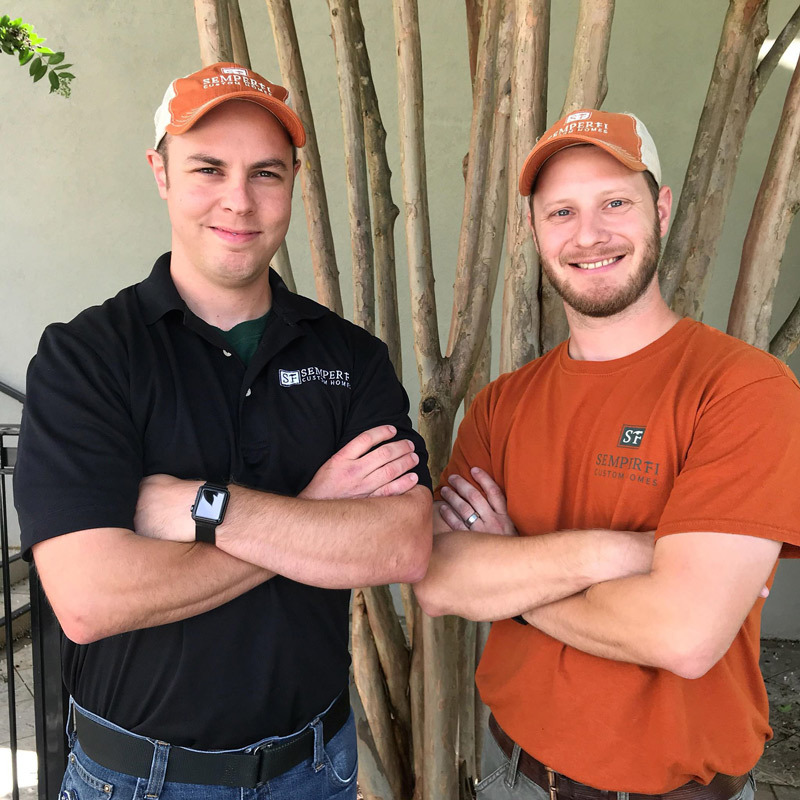 With a passion for building, and after receiving his Master’s in Business Administration, Jay decided to open Semper Fi Custom Remodeling with his childhood best friend, Chris. In 2016 Jay and Yuki were blessed with their son, Aiden, and enjoy spending their free time playing at the park with their dog, Addie, and riding bicycles together. Chris Harrin hails from the West Asheville area and grew up as a plumber’s assistant helping his dad in his plumbing business. In his high school years at Asheville High School, Chris was recognized as a distinguished expert and competed at the national level in the Civilian Marksmanship Program. After high school Chris joined the Marine Corps as a Small Arms Repair Technician and was stationed in Charlotte, NC. During his deployment to Iraq in 2009 Chris was recognized and awarded for superior performance and achievements during combat operations. Living in the Montreat area and working for his mentor, Chris developed a passion for building as he constructed his first home. During this time Chris was fortunate enough to meet his wife, Jessie. 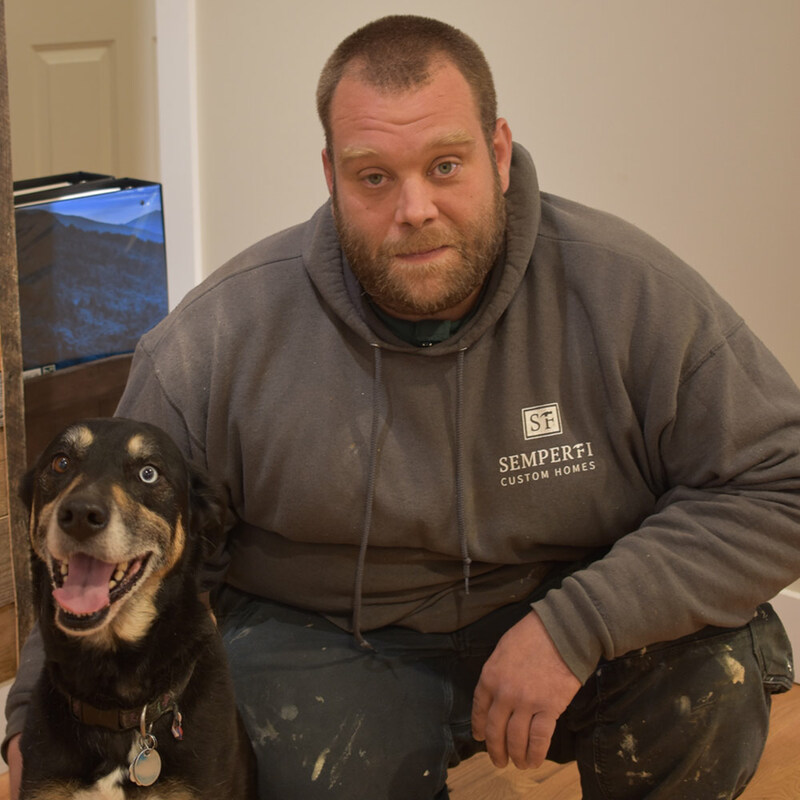 After many years working in the construction and building industry Chris became a licensed general contractor and decided, with Jay, to open Semper Fi Custom Remodeling. When Chris is not working and remodeling, he enjoys playing with his daughter, Emily, and fishing the streams and rivers of Western North Carolina. At a very young age, Nicole fell in love with mountain life and knew she would attend Western Carolina University in 2013. As a recent WCU graduate, and spending most of her time exploring the mountainous terrain, she and her husband, Blake, have settled down in Asheville with their dog and two cats. With an undoubted dedication to Semper Fi and WNC culture, as well as a passion for home remodeling, she will continuously keep our office running smoothly with excellent administrative and marketing management. 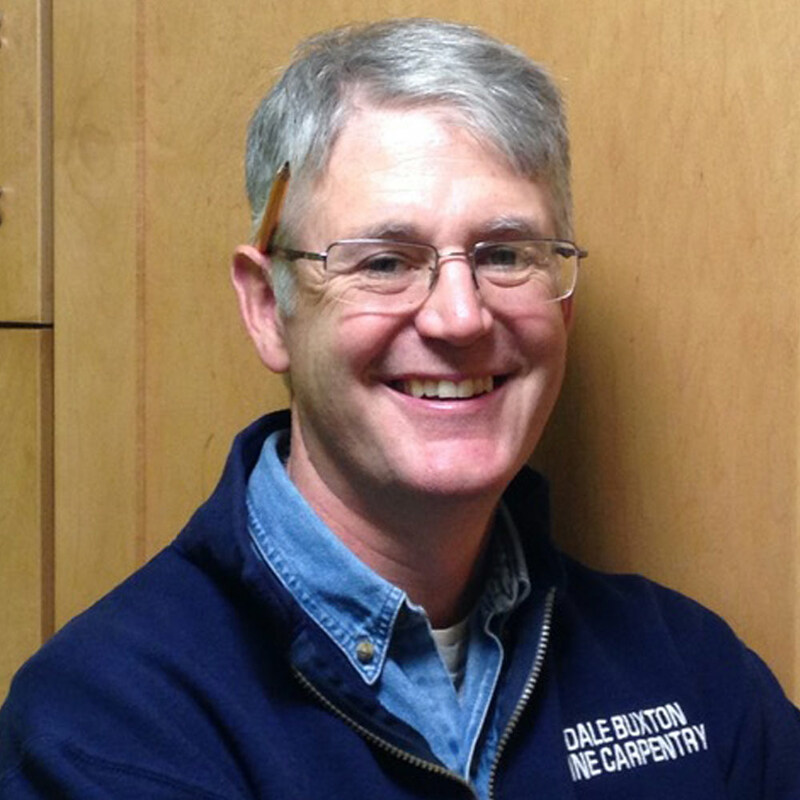 Dale has over 30 years of experience and knowledge in residential construction, having run his own remodeling business as a contractor in Maine and a licensed general contractor in North Carolina. He enjoys exploring the mountains of Western North Carolina with his wife, Angie, and their rescue hound, Tucker. In his free time, Dale fly fishes and enjoys fine finish carpentry in his personal workshop. He is very valuable for the Semper Fi team due to his dedication to residential construction. Bryan was born in California and grew up in a military family. After graduating from Minnesota State University and obtaining a Bachelor’s Degree in Recreation, Parks & Leisure Services, Bryan moved to Western North Carolina to be closer to his family and settle down with his dog, Roobarb. With 5 years of construction experience, Wilderness First Responder experience, an extensive background in low voltage wiring, and exceptional customer service, Bryan is an invaluable Semper Fi team member.